Names, everyone has one, everyone needs one. A name is significant. Names, Wilhelm Freiherr von Pechmann, who was he? Who remembers this name. Let us say his name together. Pechmann was just a man who lived in a very bad time. He was the former president of the Deutscher Evangelischer Kirchentag (German Protestant Church Assembly). He lived during the Dark Years. He lived in 1933, at the beginning of the Terrible Years. On April 26, 1933 he did something amazing. Something wonderful. At the church meeting he made a proposal to issue a statement in support of the Jews, in solidarity with the Jews. Sadly he was not supported in this. But he tried, for this let us say his name. "Aber auch für unsere jüdischen Volksgenossen Gerechtigkeit und christliche Liebe verlangen". (But also for our Jewish national comrades we demand Christian love). On Easter 1934 Pechmann declared his withdrawal from the German Protestant Church. Dietrich Bonhoeffer, a name, a man who stood up in 1940 and said it is time for Christians to rethink their negative attitude towards Jews, sadly only a few individuals listened, but he spoke, let us say his name. Hermann Diem, Easter 1943, said that an attack against Jews is also an attack against Christians, and that an attack against Israel, den gegen Israel gerichten Angriff, is an attack against Christianity as well. Very few listened, but at least the words were spoken, and we should say the names of these brave people who were willing to try. Carl Goerdeler, the Mayor of Leipzig became the head of the conspiracy against the Evil One. They say he spoke with "burning indignation" about the crimes against the Jewish people. For this he paid with his life. 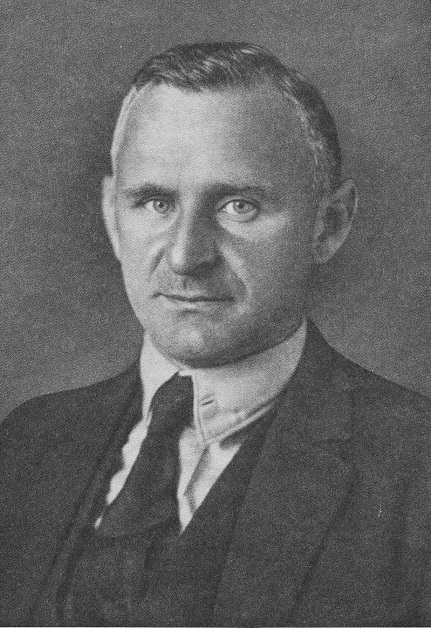 Carl Friedrich Goerdeler, leader of the July 20 plot. Every person has a name, but when the Jews were brought to the concentration camps their names were taken from them and replaced by numbers. Those numbers were tattooed on their arms, for life. (which usually was not too long). When I read a book I do not skip over the names. I want to read their names and think about them for just a moment. When I stop by an old monument, to war heroes, to victims, to soldiers who died in combat for a worthy cause...I stop and I read. Silently I read their names and I remember them to heaven. I want their names to be heard one more time, I want them to be brought back to life for even one more moment. I want them to know that we remember that they once lived, that they were once people, with dreams and goals and lives. Another name we should say out loud is George S. Messersmith. 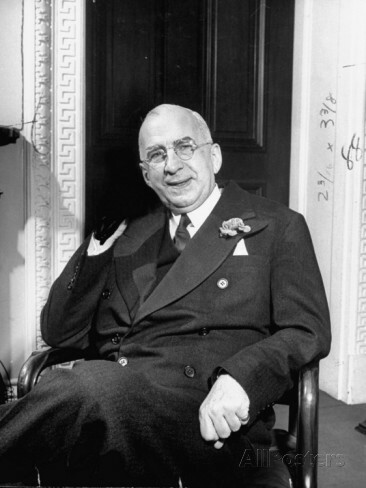 An American of German ancestry he served as the Consul General of the US in Berlin. He wrote such lengthy reports that he becaem known as "40 page George). He saw the danger early and reported it to the USA in August 1933. He foresaw the Jews of Germany being stripped of all rights and elimanated from public life. His letters reached the president of the United States. "I wish it were really possible to make our people at home understand how definitely this martial spirit is being developed in Germany. If this government remains in power for another year, and it carries on in the measure in this direction, it will go far toward making Germany a danger to world peace for years to come. With few exceptions, the men who are running the government are of a mentality that you and I cannot understand. Some of them are psychopathic cases and would ordinarily be receiving treatment somewhere".